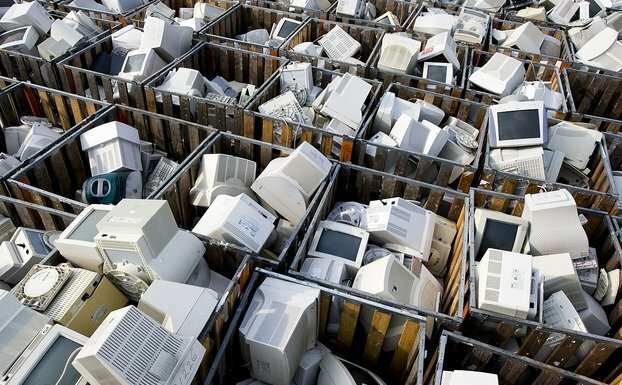 An announcement about European legislation on electrical and electronic waste is expected this spring,’ explained Claire Snow, Director of industry group ICER (Industry Council for Electronic and Electrical Equipment Recycling). So we feel it is important to show the UK Government what recycling can be achieved in this country through voluntary, industry-led initiatives. We are interested in schemes which are either up and running or will start within the next two years. The information we receive on individual schemes will be kept strictly confidential: only the overall results will be made public. ICER wants to find out how many commercial recovery schemes are already established in different sectors of industry, how much equipment is already being recycled. They also hope to discover which approach works most effectively, and what problems people face. The results, ICER hopes, will help to identify the measures that could be taken to achieve more recovery through such schemes. The survey will also provide some of the data which the Government has requested. ICER is a industry led group that focuses on finding solutions for different kinds of used electronic and electrical equipment, this issue has been made particularly pertinent in the light of the Government’s producer responsibility initiative, European developments and environmental and commercial considerations. The present recycling rate for electronic and electrical equipment is virtually impossible to calculate; it varies dramatically from region to region. Products that fall into this category include almost everything with either a plug or a battery. The trial which has been in operation in West Sussex and Worthing for the past few months has thrown up some surprising facts already: one unexpected fact is the age of electronic and electrical goods which are thrown away. Televisions recovered are more likely to be in the region of thirty years old rather then the ten or so you might expect. Parts from equipment of such an advanced age are often difficult to reuse. Another problem encountered is the theft of household goods left out for kerbside collection; they may be in a dangerous state and yet some people are prepared to take risks to get a bargain. Such goods may also be sold on in car boot sales; indeed containers full of scrap electrical items have been stolen from fragmentiser premises. The schemes in West Sussex and Worthing are helping to establish exactly what is being thrown away and on a practical level what can be usefully recovered. It seems that more electrical goods are currently being reclaimed that was previously thought. White goods and televisions are often stripped of valuable metals before being shredded. Partners in the schemes include Mayer Cohen, who are helping to establish the feasibility of one method of recovery in which goods are dismantled and sorted into categories such as electric blankets, kettles etc. Sims Bird is also helping to evaluate the worth of different recycling and recovery methods. Samples of used goods are dismantled and the results collated; facts and figures from this initiative are helping to establish the benefits of dismantling, value of materials recovered, cost of labour etc. versus shredding. Another possibility being explored is a combination of shredding and dismantling to secure the best method of recovery, both on environment and commercial terms. However, one fact that the schemes in operation at the moment have shown is that unwanted goods vary according to the socio-economic circumstances of the people living in the area involved; rich pickings obviously come from rich people.